After designing a handful of high schools in the region, commercial buildings with little local character, and high-end homes with sky-high budgets, Ann Robinson and Annie Vernon decided it was time to come back to earth. 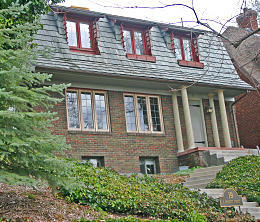 Renovation Design Group operates from the basement of Ann Robinson’s home in Federal Heights. The two started Renovation Design Group from a pinched second-story bedroom in Robinson’s renovated 1928 home. Nearly two years and 140 clients later, the group has graduated to her basement. The next move, however, will have to be to an office to accommodate three architects (Chris Humbert is the third), two drafters, a business manager and an administrative assistant. The rapid growth has confirmed that Robinson, 57, and Vernon, 29, correctly believed people desire affordable architectural advice. People tend to begin remodeling projects without specific plans, detailed budgets or consideration of basic design principles, they said. Renovation Design Group changes all three. Robinson and Vernon allow people to hire them for parts of a project, and that flexibility allows clients to control costs that fall outside actual construction. For between roughly $1,500 and $3,000 the group will provide a design feasibility study, including zoning information, measurements of the existing plot, options for adding space, suggestions for decor concepts and a room-by-room budget, so that “you get a ballpark feeling at the end about whether this is a $40,000 job or a $90,000 project,” Robinson said. The second tier of services include construction plans that residents can then take to a contractor for permits and materials. Overall, the group’s advice costs about 6 to 8 percent of the construction budget. Robinson maintains that clients recover the money with better plans — “it’s not that unusual to make a mistake that’s a few thousand dollars when you’re remodeling,” she said. 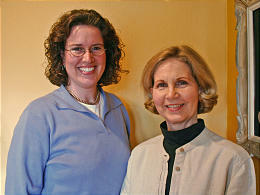 Annie Vernon and Ann Robinson of Renovation Design Group launched a firm to design remodeling projects for middle-class Salt Lake homes. Despite their quick ballooning, the group still fights to convince potential clients that an architect’s services are even necessary, especially for young families that may struggle to make payments on a cookie-cutter home. “We have a hard enough time convincing well-educated people who can afford it that they should pay for us,” Vernon said. So, the group has attended home shows to build a brand name not just for itself, but also the profession. It is gradually paying off. “We’re kind of getting the low-hanging fruit right now — the people who are already convinced,” said Jared Bulloch, the business manager. The real sign of success will come with a continued growth of their business and changed attitudes toward the profession. The group is striving to convince the area, one remodeled house at a time. “It’s been fun to see how families really are happier when they have the right place to live in,” Robinson said. “It really can help people and impact their homes for the better.” As always, we welcome your home architect design questions atask@renovationdesigngroup.com.